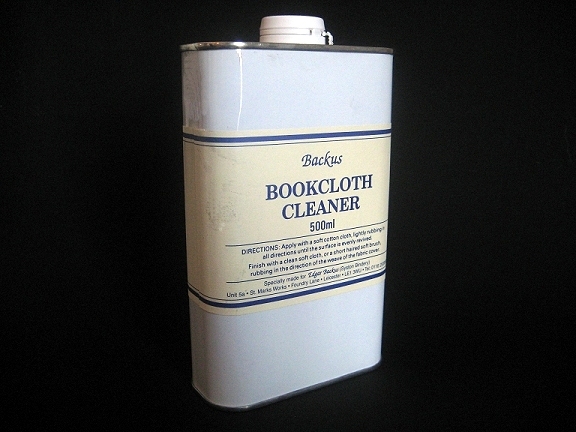 We bring you this widely used, well-established and popular product for cleaning and reinvigorating cloth bound books. It is very easy to use. Apply with a soft cotton cloth, lightly rubbing in all directions until the surface is evenly revived. Finish with a clean soft cloth or a short-haired soft brush, rubbing in the direction of the weave of the fabric cover. The cleaner may be purchased online here. We regret that due to its chemical nature, this product can only be shipped within the United Kingdom. We are pleased to bring you the first of many downloadable, well written and easy to follow e-tutorials.